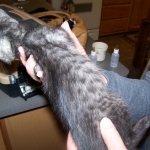 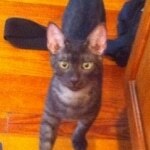 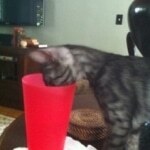 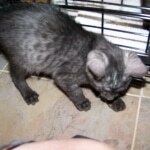 This Smoke Egyptian Mau kitten will make a wonderful pet for Jennifer in Atlanta. 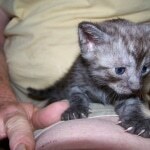 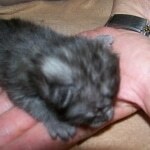 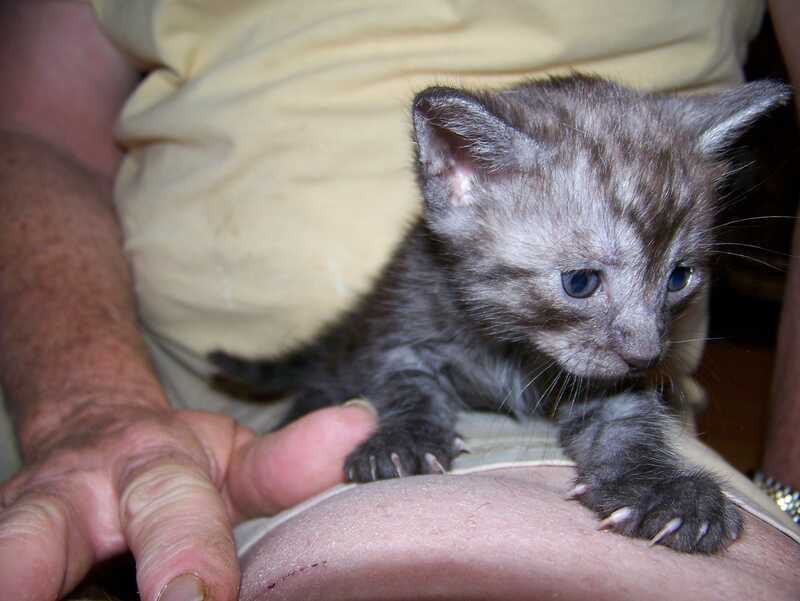 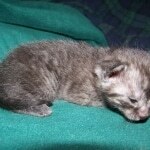 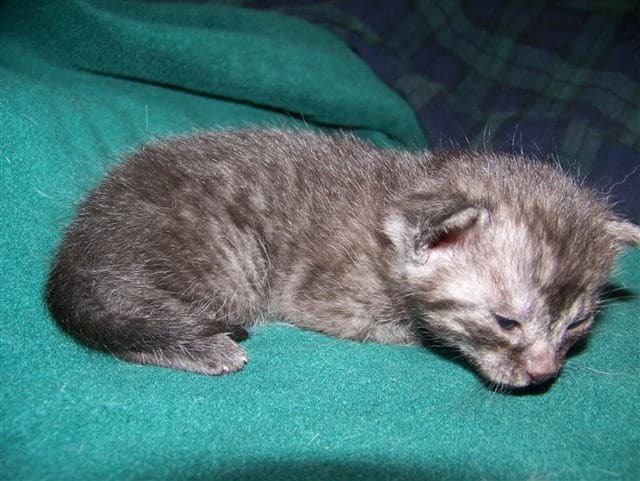 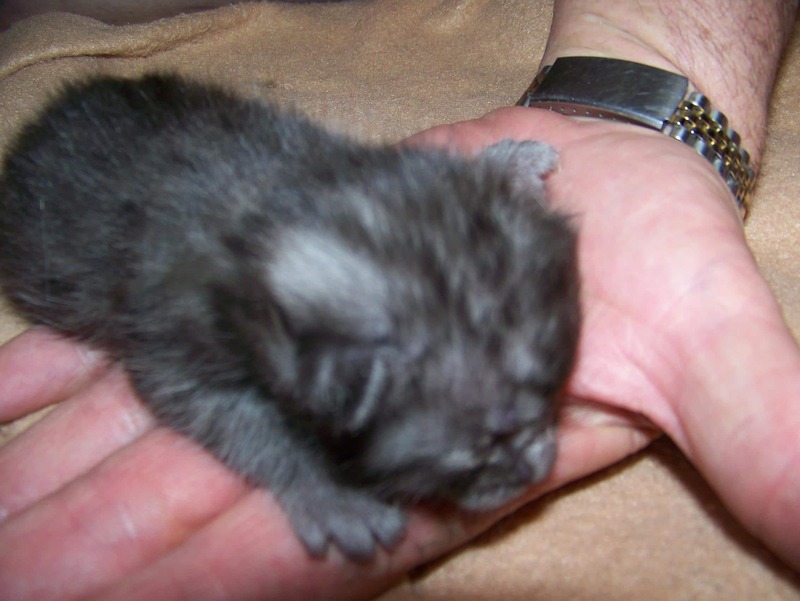 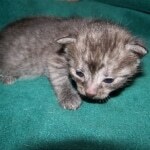 See "Carter" to see an older kitten of the same color. 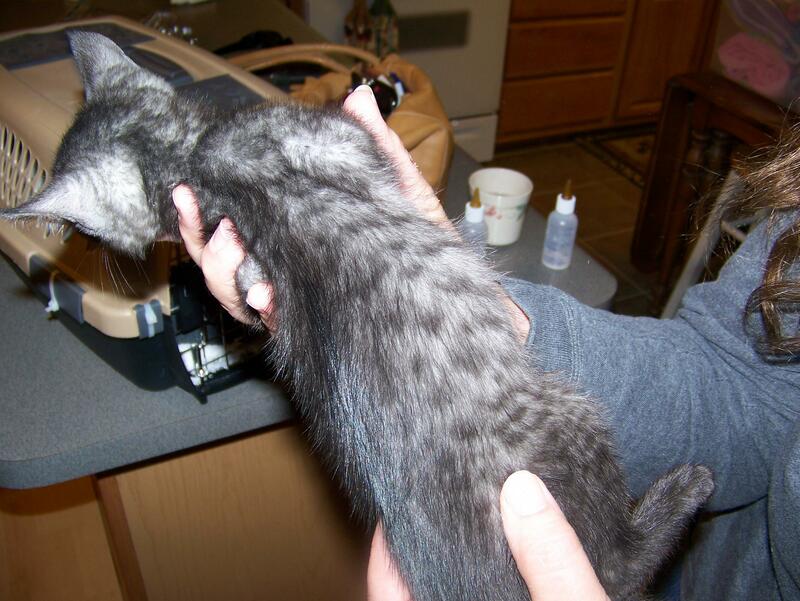 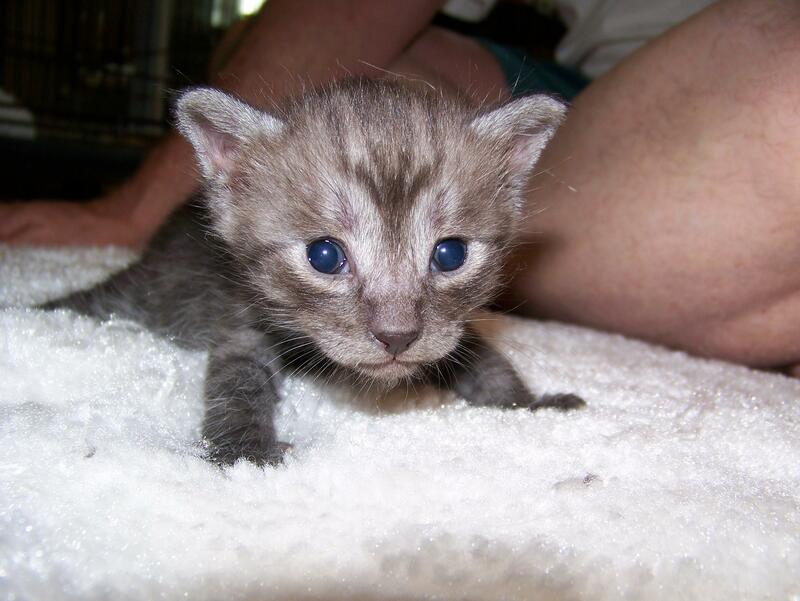 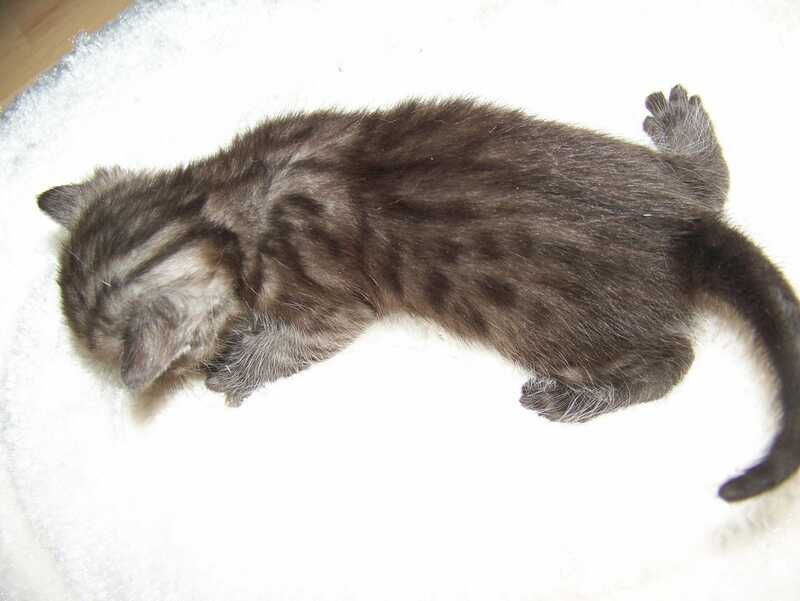 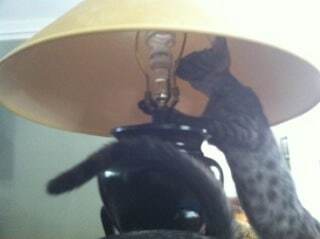 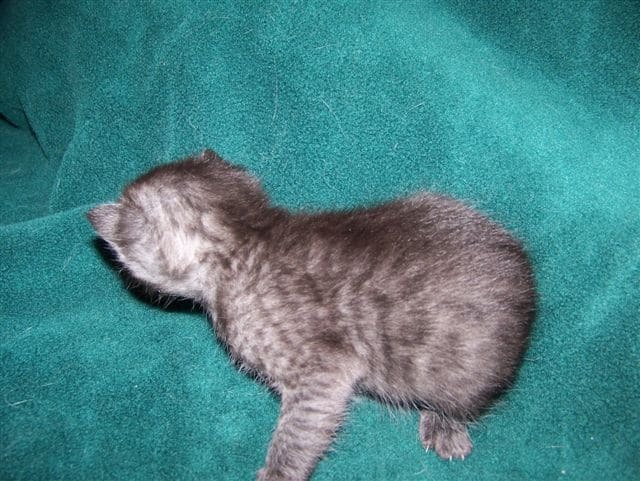 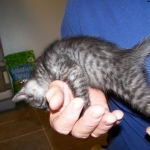 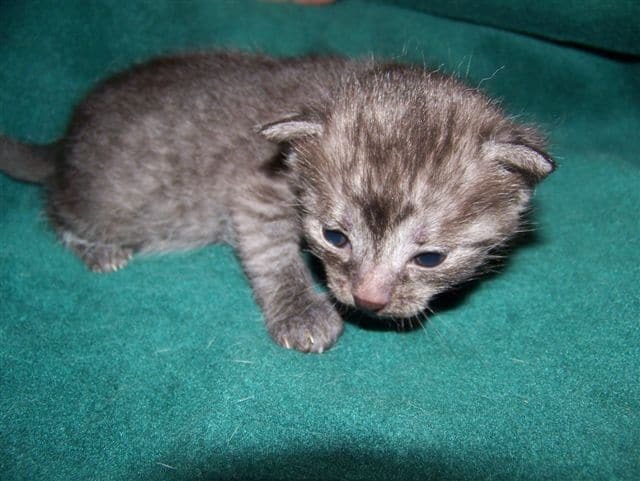 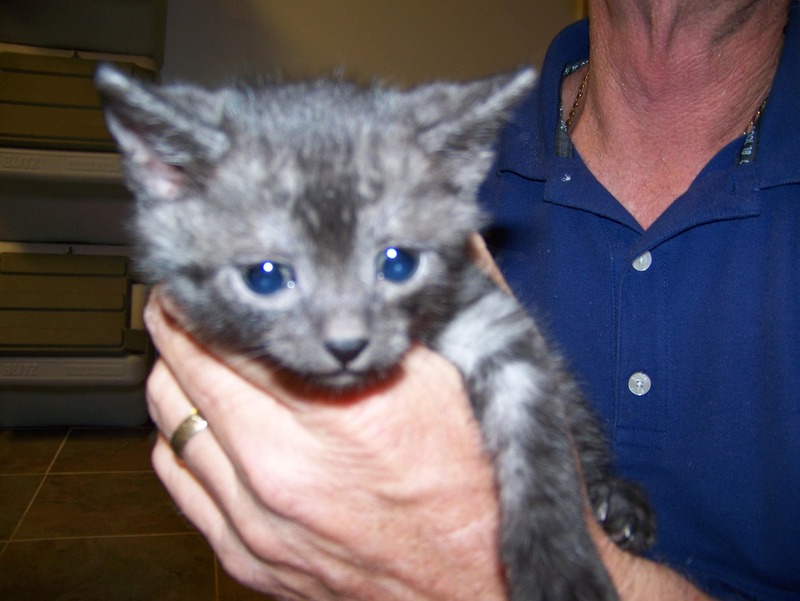 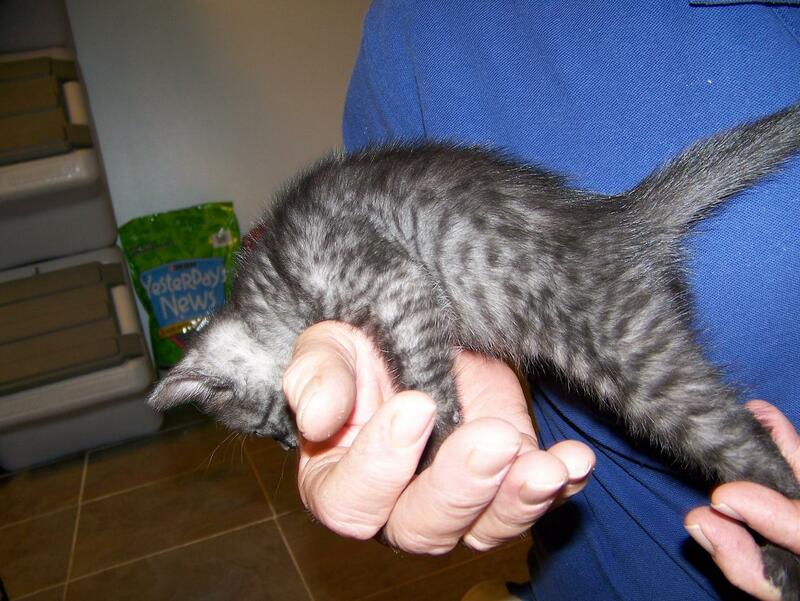 Shown here at 5 weeks this Male Smoke Egyptian Mau will make his forever home with Jennifer in Atlanta. 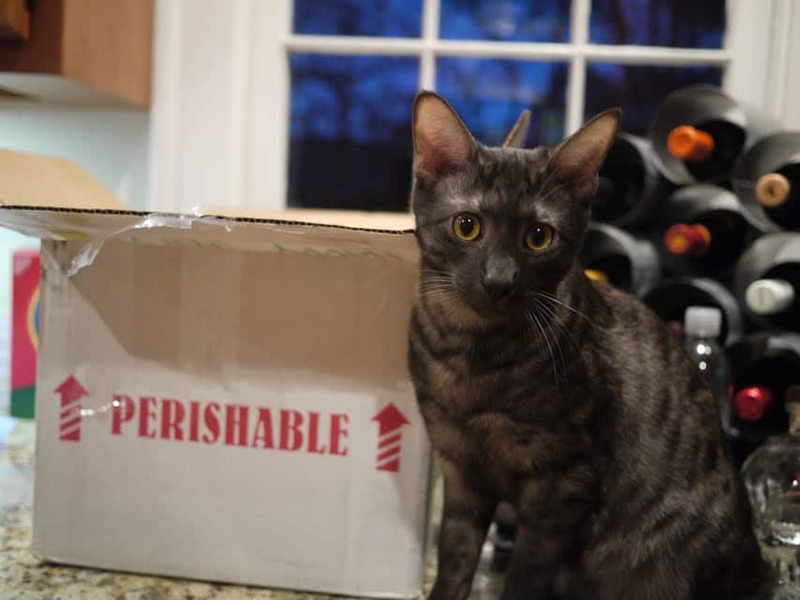 He is ready to go. 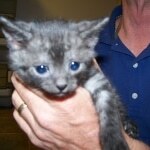 Call today and make him your new best friend. 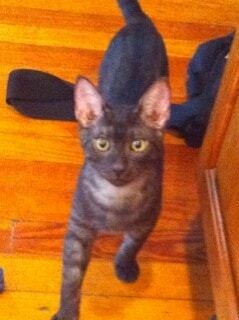 What a face on this Smoke Egyptian Mau Male is going to live with Jennifer in Atlanta. 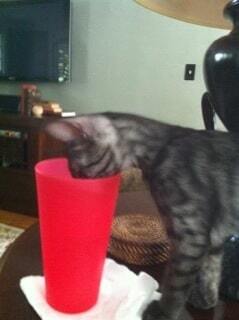 He has Championship Bloodlines. 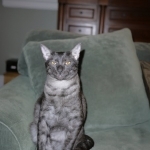 This smoke Egyptian Mau Male offers a great spot pattern and Championship bloodlines. 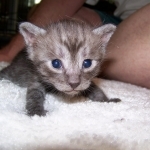 He will be going to live with Jennifer in Atlanta. 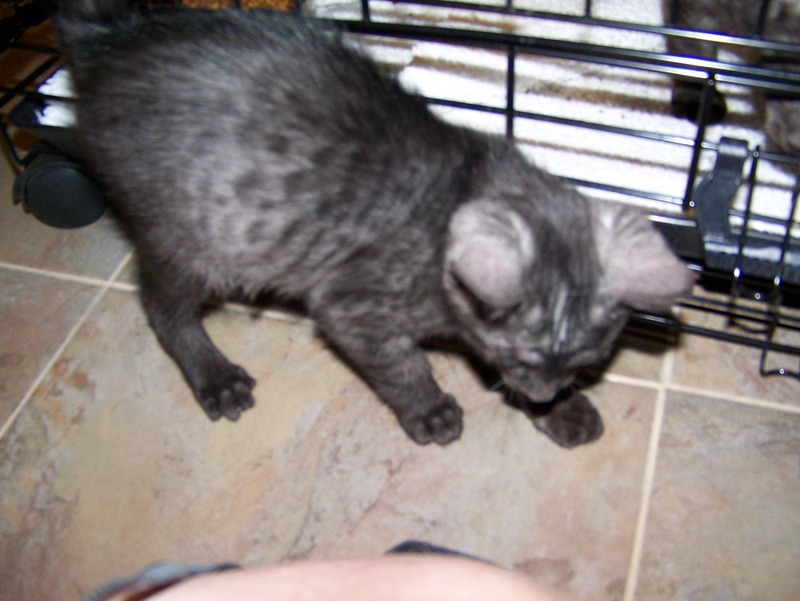 Willis, a Smoke Egyptian Mau will be going to live with his half brother Smoke Egyptian Mau Arnold and his new Mom Jennfer in Atlanta. 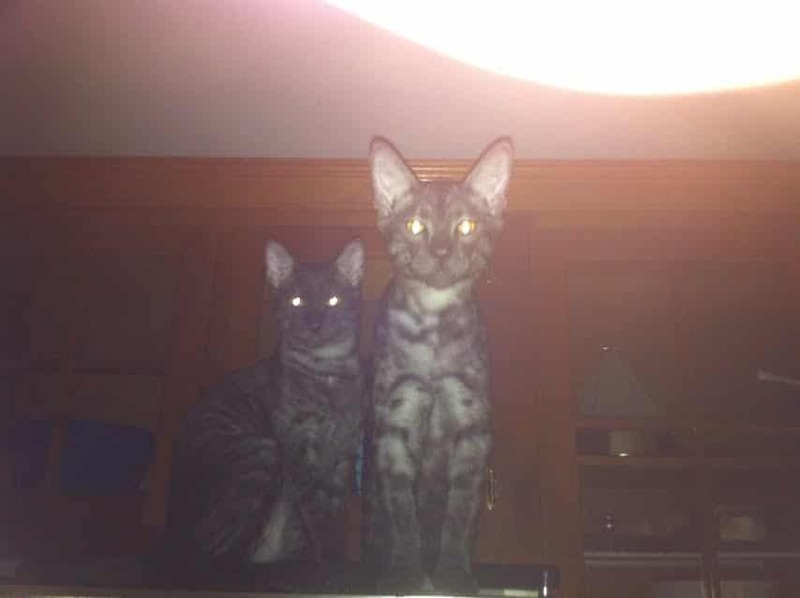 Arnold-Smoke Egyptian Mau is growing like a weeds and will be ready to go home with Jennifer and his 1/2 brother Willis before you know it! 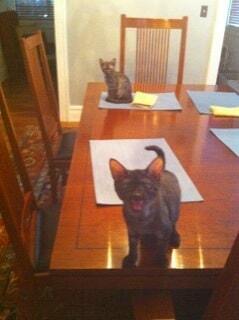 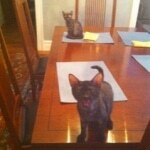 Arnold and Willis, Smoke Egyptain Maus, have taken over their new home with Jennifer. 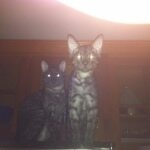 Checking out their new digs Arnold and willis are getting the lay of the land in their new home wit Jennifer. 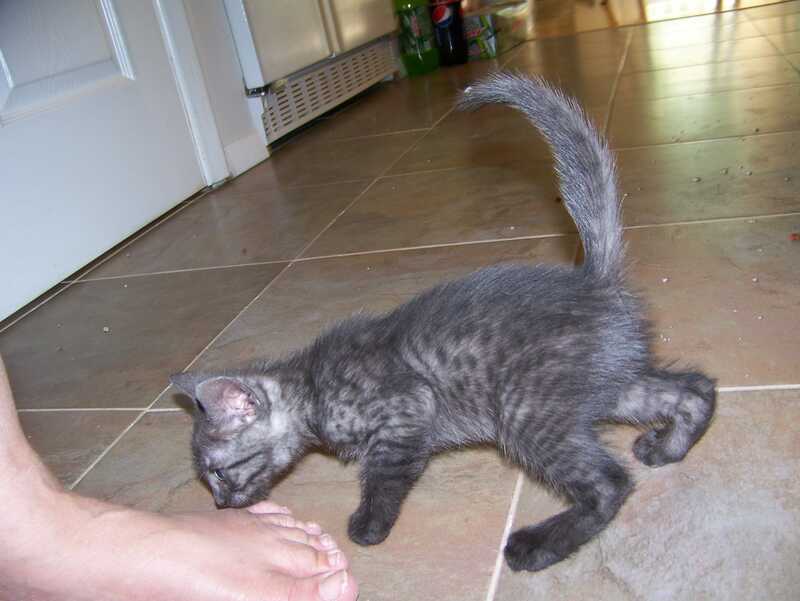 Gotta check it all out! 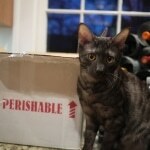 Arnold has staked out a box of Lobster. 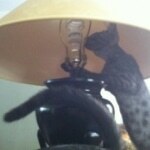 This cats not dumb! 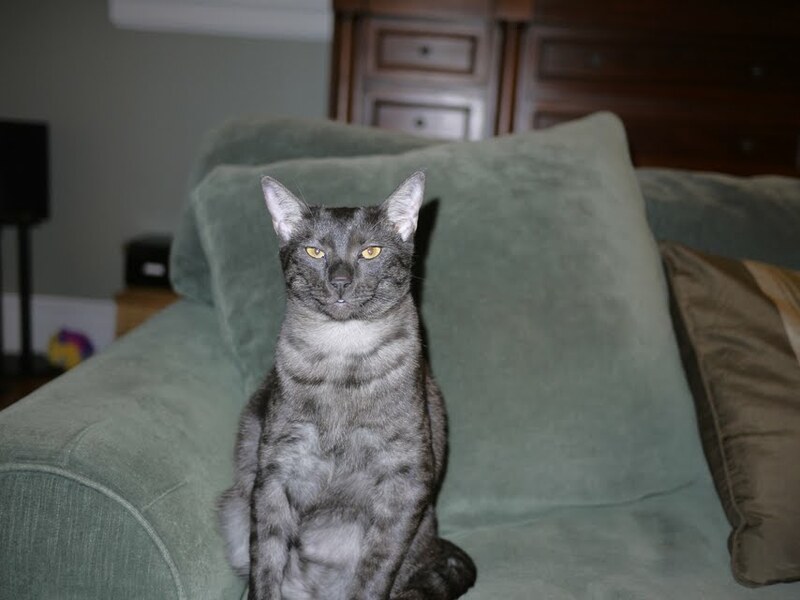 Willis, Smoke Egyptain Mau, knows he is Lord of the Manor!